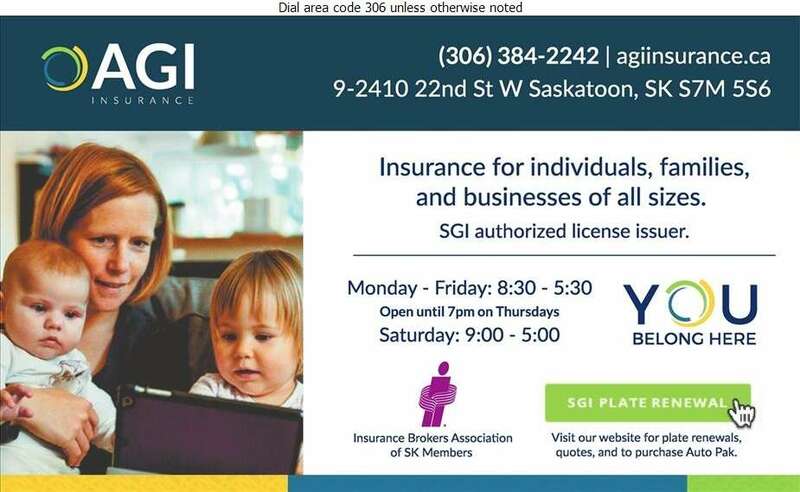 AGI Insurance is your local Saskatoon insurance alternative. Serving you from a convenient and accessible West-end location, AGI looks after a wide variety of insurance needs. Whether you're looking for quick and easy online renewals for your license or plates, or for a comprehensive package for home, auto, condo, tenant, commercial, agro, or travel, AGI will help personalize a plan that is right for you. Call, click, or visit AGI today to learn more about what they can offer for what's important to you.